For the last 25 years I have known when my light & voice warning should start coming on when going up a big hill. The past couple tanks, neither has come on, and I have put 11.5-12 gallons in. I assume they both run off the same sensor? Is there a way to test it? The bulb is good since it turns on when the iginition is on. I didn't know how much I relied on this until I started seeing my guage on E! Low Fuel Light is for women drivers anyway David! When you think it should come on, go another 20 miles, see what happens. It could just be that the sensor in the fuel tank is gummed up or something? The car is 28 years old! Hahaha. My gas gauge doesn't even work at all let alone the warning light and voice. The only gauge that reliably works after the ka24de swap is the speedo. To measure my fuel I simply reset my tripometer after I fill up and once I hit 200 to 220 miles I fill up and reset the trip again. So will have to pull the pump to check this, correct? Hey David, yeah pull the pump assy to get at all the goods. It's easy in this car. Might be a bad connection back there, or the wires got crunched by something heavy in the rear bay, they just run under the carpet. Good luck with it, my gauge still works, but Betty retired some time back. She still tells me when the keys are in and the lights are on. Reviving this topic because I never got a decent answer from you clowns the 1st time and I am changing my fuel pump and so can add some new info. 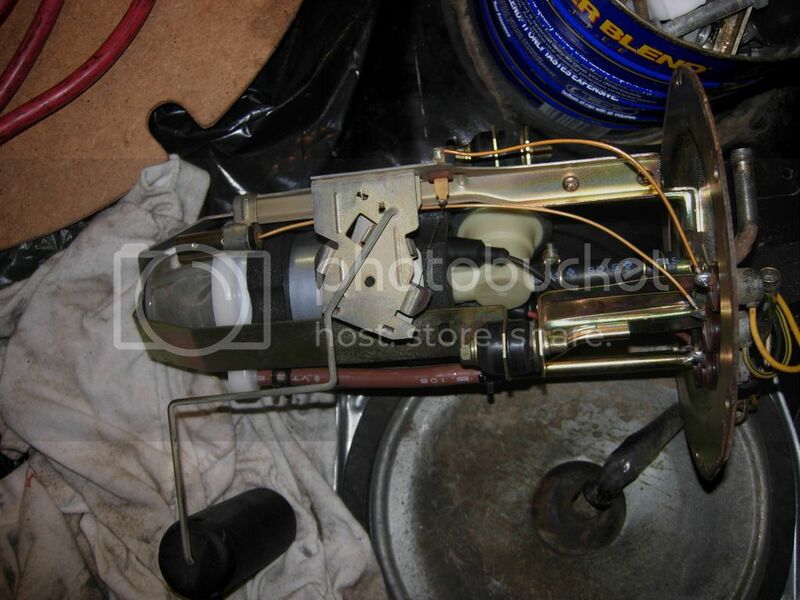 There is a standard rheostat type float that operates the fuel gauge. It has a very fine delicate wire so be careful with pump removal/installation as it looks really easy to beak. 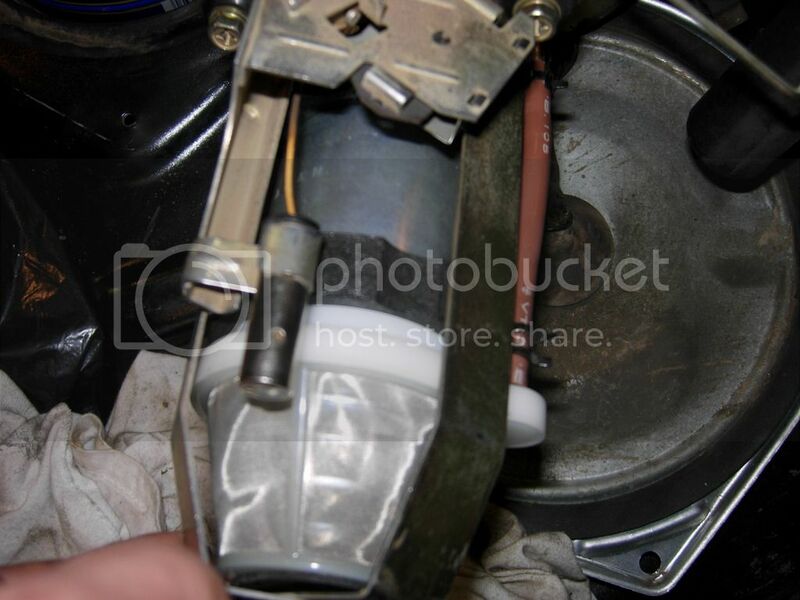 At the bottom of the fuel pump housing is a small metal cylinder with one wire - this has to be the sender for the low fuel light and voice alarm. It has some small slots so thinking about trying to clean it with something like carb spray. Haven't figured out how to test it yet. Any ideas? Can you post a picture of the offending unit? The thing with the small slots would be the level marker/sensor. My low fuel warning die on me too but I'm not sure how I got the lady's voice back. I think there is a black wire with stainless braids on the top plate and that is the ground wire for the low fuel; I think the level indicate and the low fuel are separate system since my level indicator was still working but no voice. My situation with my pump was a bad ground wire (the yellow wire) and I think after I got the new cage the low fuel warning came back. Sorry but the must been 15 years ago so my memory is a little foggy. Mine quit several years ago, I miss the lady as it would annoy my wife. I imagine the unit gave it up as it is actually a record type playback, a needle in a groove! Here's a pic of the low fuel light/voice sensor. It's mounted on the bottom of the pump cage. It has screened openings. I tried cleaning it by blasting it with throttle body cleaner. My bulb is good and all other voices function, so assume this is where the problem is. Will report next time tank gets low. Well, finally got a low fuel light today - 1st one since changing the pump and cleaning the sensor. 1st time it's come on in over 3 years. Fill up took 11.7 gallons. Didn't let it go long enough to get the voice warning. Maybe next time. See if you can reprogram it to yell, "Danger Will Robinson! Danger!" You'd more or less have to engrave a new disk. I recall a thread where somebody cracked the voice module open and found a record type dealy that had the warning statements engraved into it. I'm sure she talks; all the other voice warnings work. Just didn't let the tank get low enough so the light would stay on long enough to trigger the voice. Now that I know the light comes on at 11.5 gal I will wait longer for her next time!